Why do certain political parties adopt the policies they do, and what motivates them to change their policies? Political parties are motivated by their goal of gaining political power, and in order to do this, they need to appeal for public support. The public, after all, votes candidates into office, which increases the proportion of a particular political party’s power in decision-making and in government. To gain public support, political parties need to gear their policies towards public desires, enhancing their attractiveness to the public. But as public interests are incredibly varied and nuanced, political parties target certain segments of voters in order to create competitive advantages, molding their policies in order to appeal to these populations. But how can parties attract the most voter’s when there are so many parties competing for the public’s favor? 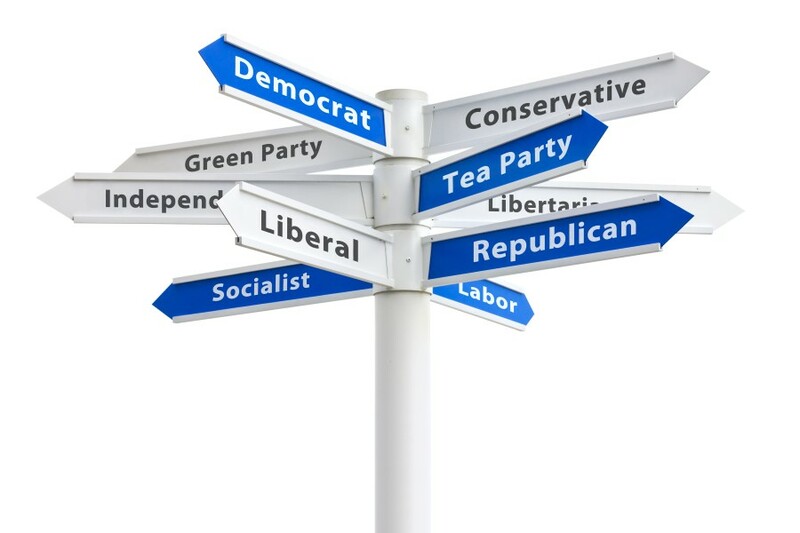 Voters will favor parties that have the most policies geared towards their sets of beliefs and desires. However, within a population, there are many diverse groups with different interests and a political party cannot create policies that appeal to all groups. A policy will appeal to some voter segments while being disliked by others. So parties do two things: They try to create competitive advantages by targeting specific groups to gain loyal supporters, and they try to make broad promises that appeal to the majority without being specific enough to gain strong support or lose their favor. A party can gain the most supporters by appealing to the majority. To to do so, they may use rhetoric to make broad promises, asserting that they will fix certain issues. Parties essentially market a service to the public (Konig, 2017). To appeal to the majority, parties pick issues that most people care about and assert that they will deal with these issues. Resolving these issues in a certain manner is the service that parties sell to the public. However, in order to appeal to as many people as possible, a party may make promises to many voter segments to draw them in even if they don’t have the intention of fulfilling all of them. Being as vague as possible makes it so that parties can appeal to the majority without taking too specific and nuanced stances that may cause them to lose support from some of their supporters. However, being too broad will not gain strong voter support. When a political party has attracted loyalty and support from a particular voter segment, being preferred over other parties, then the party has a competitive advantage. A competitive advantage is difficult for other parties to challenge and fight for, and it is very beneficial because it represents a strong base of voter support. However, in order to gain competitive advantage, a party needs to be more specific about it’s policies and the stances it takes in resolving issues that are important to a segment of voters. While doing so gains stronger support from some voter segments, it may make other segments feel that a party is not as aligned with their interests. To illustrate this, a huge segment of the US population in the south was poor and had little opportunity. These people blamed their situation on immigrants whom they felt had taken all the jobs. Trump, appealing to this voter segment, advocated to build a wall, telling this voter segment that he would “Make America great again,” (limit the amount of immigrants that entered the US.) Trump took a very hard and specific stance on an issue in order to appeal to a voter segment. And while he gained incredible loyalty from one segment of the population, he lost other voter segments. His proposed policies de-prioritized other segments of the population, creating a sense of distaste in immigrants and people with more open-minded values. Nevertheless, Trump was the ultimate candidate to elect in the voter base he appealed to. Even if other parties or candidates tried to compete for the appeal of this voter base, his competitive advantage was very hard to challenge. What Effect Does Party Competition Have on Society? Next Deceptive Personal Information Online: What fuels it? Do you have any insight on how politicians gage the amount of political competitive advantage they will receive when choosing between broad and specific statements? One paper that was presented in my class discussed findings that less informed people were happier with election results. Based off of this, do you think people would be happier with politicians who made broader statements?